Ireland is a wild and wonderful country full of culture, folklore, history, beauty, song and dance. Almost 4.2 million people call it home, and it’s somewhere that I’ve wanted to visit for many years. As well as having a bustling capital city that’s steeped in history and charm, the rest of the country is less densely populated and it is here that one can truly get away from it all. Full of wildlife, flowers, trees, castles, charming wee cottages, ancient ruins, craggy cliffs, beautiful villages and arts and crafts, seeing the Irish countryside was always high on my bucket list. After talking about it for so long, myself and my husband and our two daughters booked our tickets and we couldn’t have been more excited. We decided to visit in May with the hope of seeing some sunshine and our plan was to spend two weeks taking in as much as we could. It was because of Ireland with Locals that we were able to do just that. After trawling through numerous tour companies online, we decided to use Ireland with Locals as it came highly recommended. This tour company provides a fantastic selection of packaged tours that are wide-ranging, luxury private tours and they also offer individually tailored private tours. We chose to do a private tour and we travelled along the west coast and visited the Aran Islands, which are truly traditional, and the Burren, with its craggy rock face and abundance of wild flowers that can only be found here, were among our highlights. After a windswept day by the Cliffs of Moher we headed a little inland to Doolin where we met lots of friendly locals and we sang the night away in O’Connor’s tavern. Ireland has so much to offer once you look beyond the obvious tourist attractions. The Celtic aura of the island is waiting for those travellers who are willing to put the effort into finding it. For us, it was about mingling with the locals and listening to their tales from the past and present, which brings the mysticism and enchantment of this amazing country to life. It was about taking a boat trip on the River Shannon, the longest river in Ireland, where the biggest decision we needed to make was where we’d stop for some Irish stew. It was about taking a 2,000 km road trip called The Wild Atlantic Way, which follows the west coast of Ireland from Donegal in the north to Cork in the south. We didn’t get to do the full stretch but we certainly saw enough that makes us want to go back for more. This route was made possible with the help of locals who make sure the very best of Ireland’s west coast is offered to tourists. Thanks to Ireland with Locals our trip was one of the most memorable vacations we have ever taken. Considering the knowledge and friendliness of our guide (he couldn’t do enough for us), the itinerary that was put together for us and the way everything just fell together perfectly, the price we paid was so affordable. Our youngest daughter (she’s 15) is already asking can we go again next year, which is proof of just how good these guys are! Thanks to all at Ireland with Locals for helping us to make great life-long memories that will stay with us forever. 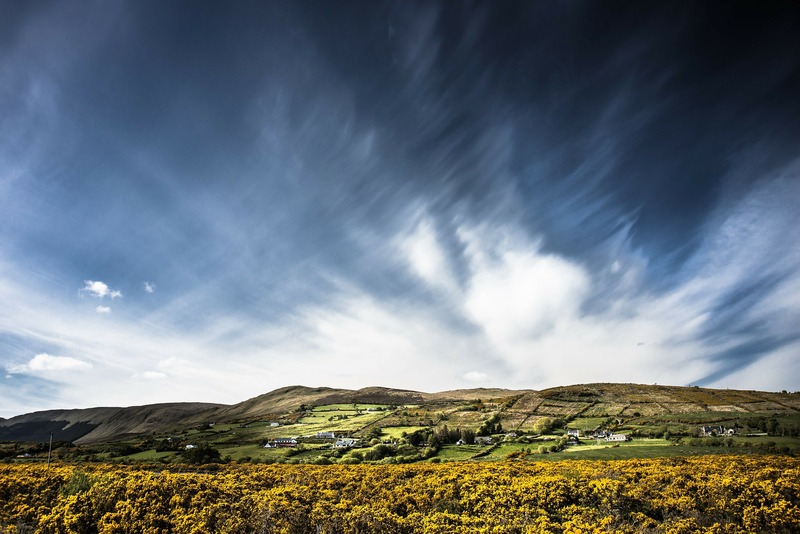 Copyright: Ireland With Locals.ie | Designed and Powered by The Web Centre : Web Design Ireland.